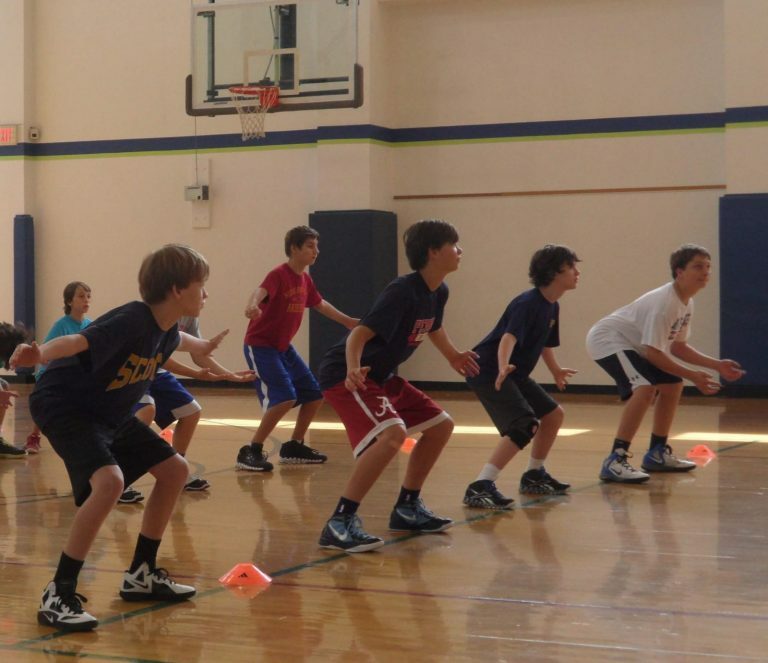 Here at ATTACK Basketball Academy, we offer a wide range of programs to match the variety of youth that are ready to learn new skills and develop their mental and physical abilities in a healthy and active way. If you live in the Dallas area, we can guide your child’s basketball development in a way that will engage them and get them excited about expanding their basketball skills and IQ. Here are a few of the programs that we provide throughout the year. In partnership with Breakthrough Basketball, we offer basketball camps throughout the year that range from beginner to advanced, and are designed for kids from 3rd grade through high school. If you are only interested in basketball camps during certain times of the year such as summer or spring, we have options for you too! As your child advances in the sport, basketball clinics can enhance their skills as the drills are more specialized and the techniques build upon a strong fundamental skills core. Basketball clinics give kids position-specific training, teach them how to read and react, and deliver measurable results. Don’t put off enlisting your kids in basketball skills sessions in the Dallas, TX area any longer. Your kids will find value in honing their skills and learning how to apply them in different aspects of the game. We will also ensure they will develop skills both on and off the court. Our coaches are patient and encouraging as they want to see kids succeed in their endeavors and enjoy the learning process. The skills they learn will also help them in other areas of life such as schoolwork, motivation, organization, and beyond. Plus, they’ll have a blast! As kids get more familiar with the rules, techniques, and playbook, they’ll want to put all of their hard work to good use. Being part of a basketball team will give them real life experiences about how the game is played, as well as give them an outlet to apply the concepts they learn in practice. Our mission is to do more than just get kids on the court to play – we want to help them learn the importance of practice, running drills, warming up, and the mental aspect of the sport. We want them to understand that playing on a team requires commitment, teamwork, and focus. Whether your kids are just getting started with basketball, or they have been developing skills on the court for years, they can benefit from basketball training. This can be one on one training, similar to having a personal trainer at the gym. Or, for immediate game-situation application, you can participate in small group training (2-3 people per session). As Coach Miller says, “Players are born in the offseason,” meaning that the players who make the commitment to train during the Spring and Summer are the ones who start the basketball season leaps and bounds above their competition.